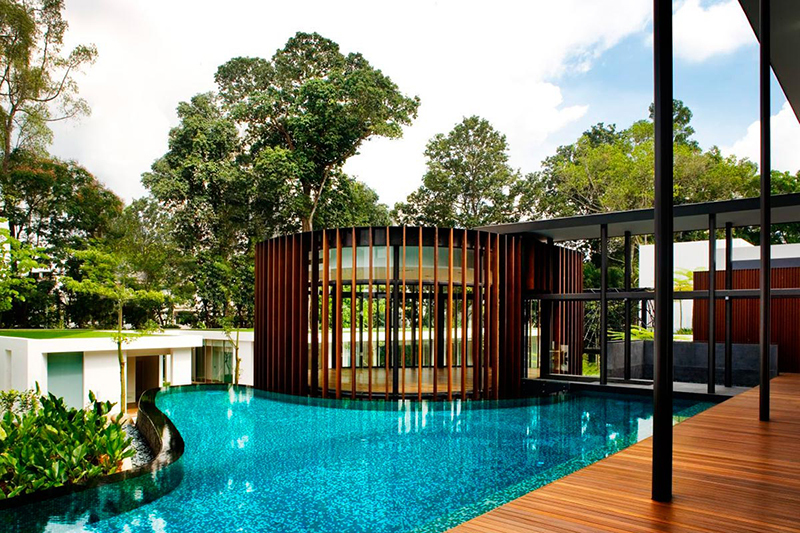 Ko Shiou Hee, founding prinicpal of Singapore-based architecture practice K2LD, was commissioned to build one of the six dwelling spots that make up the Lien Villa Collective. Hee's contribution, titled The Screen House, came in the form of a boxy white structure with a partially enclosed pod-like terrace stemming out from it. 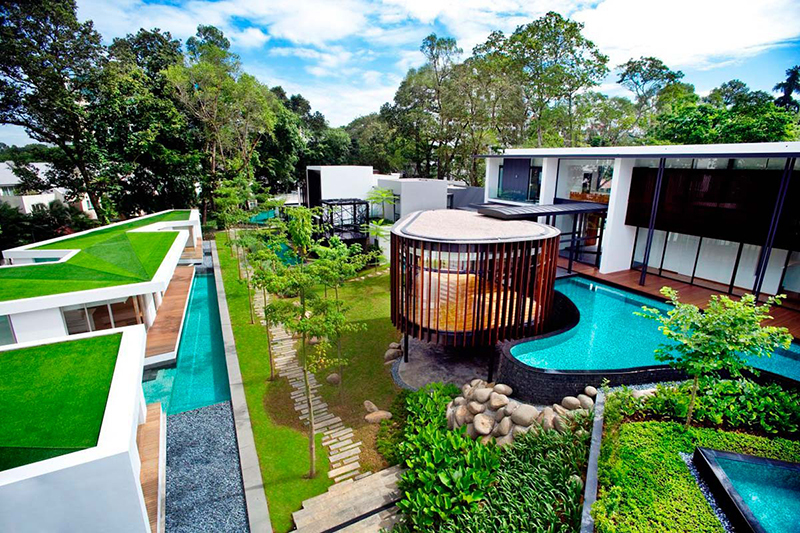 In the suburbs of Singapore, The Lien Family's 1930's mansion is surrounded by green hills and exotic vegetation. The family brought six of their favorite local architects on board to add five new houses and renovate their existing mansion. Thus, K2LD was selected and their Screen House became realized. Stacked three levels high, each level incorporating the idea of a screen with partitions of thin vertical planks. The screens create a dramatic effect throughout the home as the natural light casts silhouettes of patterns across the architecture, the concept even rolls into an organic shaped terrace, with screen walls which opens up to the swimming pool. 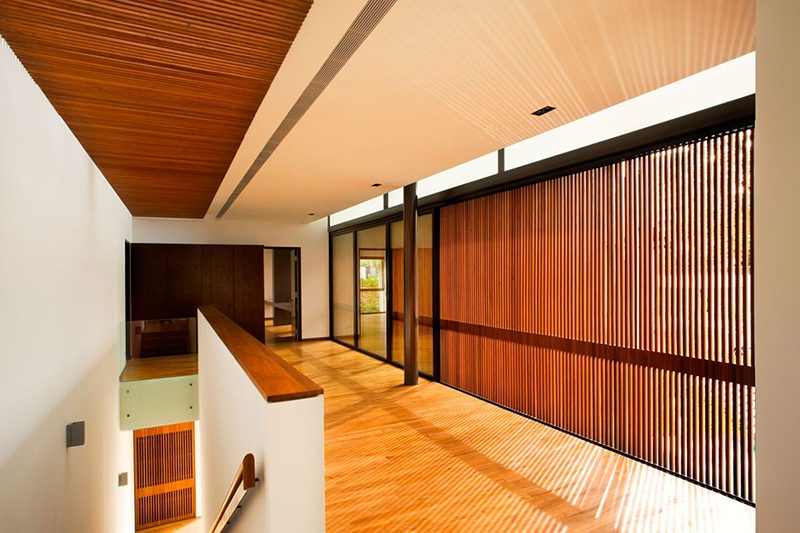 The screens are instrumental in temperature control and to provide a sense privacy to the residents who are close in proximity to their neighbor, as one entire side of the home is predominantly glass! To see the rest of the Lien Villa Collective home check out an exclusive book called'No Boundaries'by Pesaro Publishing, which reveals an in-depth look into each home. Below, is the neighboring home to the Screen House, The Zig-Zag House by Ministry Of Design.